An official aligned to one of the three unions in TNB said their concern was that should the competitive tender exercise be discarded, it would result in a higher price for consumers. “Consumers will complain of the higher price and the brunt will be felt by union members as the frontline officers dealing with consumers.”. 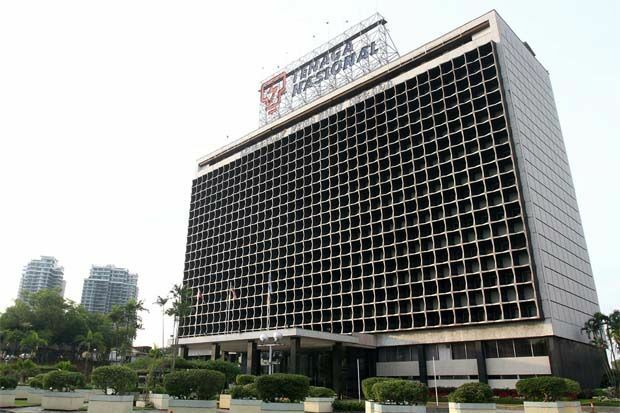 PETALING JAYA: The controversy surrounding the process of awarding a gas-fired power plant, supposedly to be located in Johor, on a direct negotiated basis has picked up in pace with unions of Tenaga Nasional Bhd joining in the fray to register their concerns on the matter. Union officials had a meeting with Energy Commission (EC) chairman Datuk Abdul Razak Abdul Majid yesterday to express their views that the practice of awarding power plants should be continued on a competitive tender process to ensure efficient price discovery. An official aligned to one of the three unions in TNB said their concern was that should the competitive tender exercise be discarded, it would result in a higher price for consumers. “Consumers will complain of the higher price and the brunt will be felt by union members as the frontline officers dealing with consumers. “If the additional cost is not passed on to consumers, TNB has to bear the cost and it will affect its employees,” the official argued. Speculation is rife that the EC is in the process of awarding a new combined cycle gas turbine power plant with a capacity of 1,400MW to be based in Johor on a directly negotiated basis, going against the rationale of open bidding that has been adopted by the commission since 2011. The plant in Johor is expected to be commissioned by 2018. The unions had already voiced their concern over the awarding of power plants on a directly negotiated basis during the visit by Prime Minister Datuk Seri Najib Tun Razak to TNB on May 16. Chairman Abdul Razak was reported to have said that there had not been any change in the EC’s position of adopting a competitive tender in the awards of power plant. The urgency for a power plant in Johor came about following a blackout in some southern states two weeks ago due to a trip in a power plant in Manjung. There were reports that the blackout prompted the Government to consider fast-tracking the awarding of contracts to build new power plants. Towards this end, there have been suggestions that the practice of adopting competitive tenders to award power plant contracts be replaced with directly negotiated contracts with interested parties to expediate the process. But this has raised concerns that it would result in inefficient pricing and that TNB would be saddled with too much capacity. Power sector sources said that in relation to the location of a new power plant in Johor, TNB needed to build a 500kV tranmission line from Yong Peng to Lenggeng in Negri Sembilan to ensure a stable transmission system. This is expected to cost at least RM1bil and the line would only be completed by 2019. “If the plant were to come up before the line, TNB would be holding excess capacity and cost would be reflected on its balance sheet,” the source said. Only in 2011 was the awarding of power plants based on a competitive basis. The EC was given the mandate to handle the awards based on a competitive process. Prior to that, the awarding of power plants was on a directly negotiated basis and handled by the Economic Planning Unit. As at press-time, the EC did not respond to StarBiz queries.